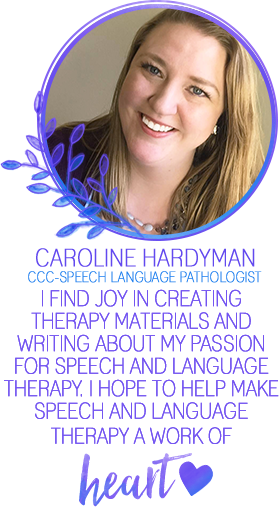 Smarty Ears has many apps for speech and language therapy. This year, I was assessing a student for basic concepts, but I didn't have access to the BOEHM and I wanted more information than I got from the CELF. I searched the app store and found Smarty Ears' Basic Concepts Skills Screener. The Basic Concepts Skill Screener, BCSS for short, has 2 options for screening. There is a quick screener with 30 items and a full screener with 79 items. The BCSS measures comparative, quantitative, spatial, and temporal concepts. During the screening, students are shown 4 similar pictures and a sentence written below is read aloud. The student touches the picture and then selects "next" to move to the next screen. If a student presses "next" before selecting an answer, an error message appears. This feature is very helpful for my students who are impulsive. Other features include a notes tab for clinician use and the ability to change the selected item before moving to the next item if a mistake was made. If you can't finish the screening in one sitting, you have the option to save the test and continue later. Finally, my favorite part of this app is the report it generates. The report includes lists of correct and incorrect concepts. The concepts are further broken down by type. Tables report the percentage of items for each concept type, as well as whether the skill has been achieved, is emerging, or not achieved. At the end of the report, there is a color coded visual for each concept type and age of acquisition. The best part about the report is that you can send it via email to a colleague or even yourself. Overall, I really liked this app. I use it primarily with my younger students (ages 3-8), however, it can be used for older students to measure progress or current knowledge of basic concepts. The app is intuitive and easy to use. It is useful to assess pre and post interventions, to determine if further assessment is necessary, or to support standardized testing measures. The generated report is detailed and clear. The pictures are simple, clear, and colorful. Students hear a "ding" and see a swirl when they select an item, regardless if it is correct or incorrect. There isn't currently a way to have the iPad repeat an item. If a student needs a repetition of the direction, you have to read it to them. Nothing else really. There are only 2 languages available at this time (English and Portuguese) so if you want to screen in other languages, it is not included in this app. 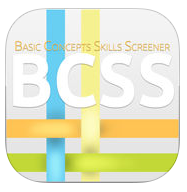 Basic Concepts Skills Screener is available on the app store for $29.99. If you are looking for an app to help you measure basic concepts for students on your caseload, check it out. There are tutorials and videos on the Smarty Ears website as well.